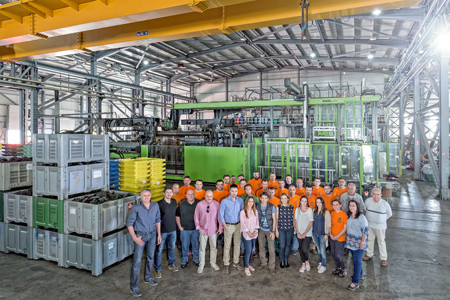 Helesi currently employs about 201 people*, with a high expertise and know-how in each sector, across its various lines of business and departments. The human factor is absolutely crucial for Helesi. The on-going training and upgrading of our executive team is a top priority for us in order to maintain our leading role. 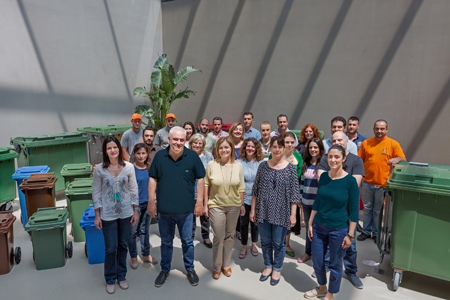 The basic principle of the group is to provide a working environment where cooperation, mutual respect and continuous staff development are constantly growing. Helesi strategy is based on three pillars: Human - Experience - Technology. The workforce of the company has expertise in the manufacture, installation and support of its products. This makes us capable of providing quality solutions to our customers. Our aim is the nonstop effort of updating and training our executive workforce, as well as the continuous investment in their development. 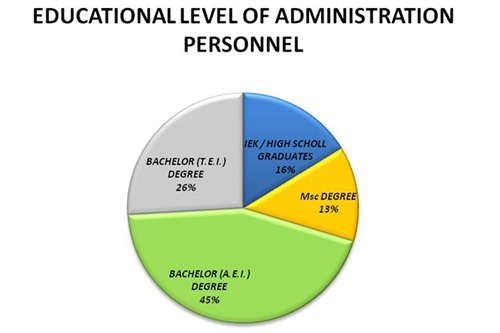 The high educational level of our personnel is indicated by the fact that about 84% of the administrative staff, even non-executives, hold a Bachelor or Postgraduate Degree. 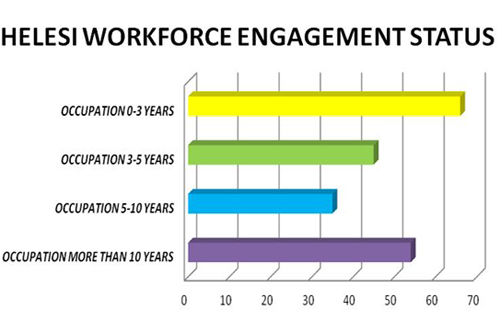 69% of the staff are up to 45 years old and the percentage of the workforce in the age range of 36-45 years is 36%. 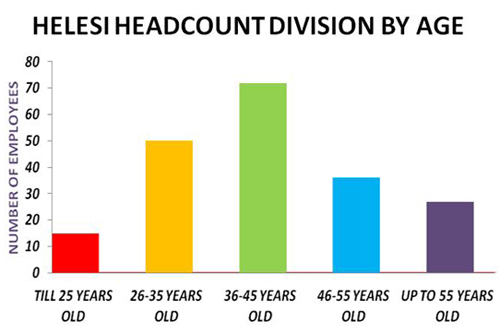 The personnel of Helesi has an effective engagement with the company (67% employed from 3 - 10 years and 27% for more than 10 years).